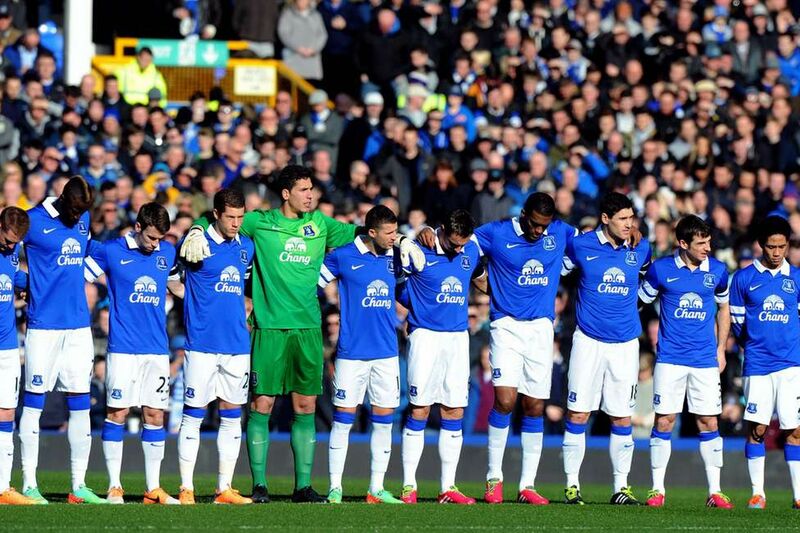 St Dom-index Player Ratings for the Everton vs Swansea game on Sunday 16th February 2014. Alex is back with his player ratings from Sunday’s FA Cup 5th Round tie with Swansea City. The Blues eventually overcame the Swans, but it is a performance that has divided opinion among Evertonians. Do you agree with Alex, or did someone else impress you? Had an okay game, but i think he looks too nervous on the ball, every time the ball is played to his feet he feels the need to hit it first time and this obviously restricts the accuracy he can get on the pass. As always put in a decent performance and topped it off with a penalty, he has now scored 12 of his last 12 penalties, which is an incredible record. Baines put in a few good crosses and on a few occasions linked up with Pienaar well. Looked dodgy and on a few occasions switched off and left his marker. This was apparent in the first few minutes when a ball was played through and the striker ran onto it unmarked and almost gave Swansea a very early lead. Solid performance and didn’t have much work to do. I think he’s reliable but the question I keep hearing is, is he better than Stones, and currently I believe he is. My man of the match, defended very well and also attacked well, my only minor criticism is that he wasn’t running at the defenders as often as he usually does, however he was overlapping a lot more in the second half which gave Mirallas a lot more space. Didn’t look as good as he has in recent weeks but still looked dangerous and created a few chances. Him and Traore looked like they enjoyed playing alongside each other. I’ve heard a lot of people praising Barry and McCarthy but I thought they were both poor. They were too slow and gave the ball away too often and didn’t defend that well either. The same as I said for Barry, however I think McCarthy gave the ball away more often. Has been poor recently. Looked better as the game progressed and did link up with Baines a few times. A good debut and looks promising. His goal was a touch of class and I think overall he played well. His touch does look a bit dodgy though and did have some trouble holding the ball up when it was lofted to him. If he had played longer he would have pushed Coleman MOM, he completely changed the game in our favour, the thing he did that no one else was doing was moving. When we received the ball in Midfield he was always making the right runs and also scored a well taken goal. Didn’t have much of an impact on the game and I do believe that now he’s getting older he will only be coming on for the last 20 minutes of games. Blimey, a few generous scores there! Not sure about Seamus as man of the match, it wasn’t until the second half that he went by anyone! Traore and his lack of movement was amplified by the amount Naisy moved, but it was his first game in almost half a year! Ross has lost a bit of his zip and confidence but it’s coming back.